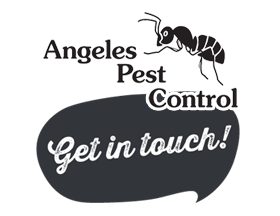 At Angeles Pest Control, we provide a Complete Pest Control Program. We have chosen not to provide service on Bedbugs. To open up to that venture takes a whole different costly system to eradicate them and it takes two employees a lot of time, time we just don't have. We refer all Bedbug clients to Sprague Pest Control. It is a company that we are comfortable with and are confident in their business practices to offer our clients a thorough job. Our goal is to control your insects with as minimal amount of chemical that is necessary. The reason why is because it is less risk for you and your family, us and our environment. Our maintenance spray service consists of four sprays within the spring, summer and fall months. During the summer months, our chemical will last at least 2 months. Depending on weather conditions it could last longer. The elements: sun, wind and rain will break down the chemical -- the sun being the most damaging due to the UV rays. We don't spray during the winter months because, during that time, insects are typically dormant, with exception to the Odorous House Ant. What is Integrated Pest Management (IPM) and what does it mean to you? The letters IPM stands for Integrated Pest Management, which is a way in which you can discourage insect infestation outside of chemicals. A good pest control maintenance program includes both chemical control and IPM's. The following is a checklist of things you can do to help in deterring insects. We stand behind our service to you. We will pursue your pest problems until they are eliminated. If at any time you are unsatisfied with our performance, we welcome your comments and would appreciate the opportunity to see if we can rectify any issues. Angeles Pest Control uses the least toxic, most effective chemicals that are on the market using the latest technology. Our goal is to effectively control your pests with as minimal amount of chemical as possible, placed in the most optimum locations. We want to reduce the amount of chemical in your environment, inside and outside. It is safer for you, your family and the world we all live in.